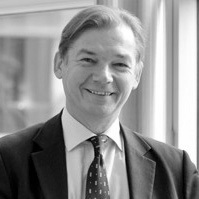 Philippe Lamberts is a Belgian MEP and the Co-Leader of the Greens/EFA Group in the European Parliament. He is also a member of the European Parliament’s Committee on Economic and Monetary Affairs. Poniżej wywiad z Philippem Lambertsem, zielonym europosłem i członkiem Komisji Gospodarczej i Monetarnej. Obok Svena Giegolda jest on jednym z posłów najgłośniej sprzeciwiających się ortodoksji finansowej głównego nurtu. Un entretien avec Philippe Lamberts, député européen vert, membre de la Commission des Affaires Économiques et Monétaires, et avec son collègue Sven Giegold, tous deux acteurs centraux de la régulation financière européenne. Symbol of absolute power corrupting, the ring imagined by J.R.R Tolkien clearly fascinates many citizens. If caution obliges us to distinguish between fiction and reality, nevertheless imagination allows us to draw certain perceptive parallels. Social Vulnerability: the Price of Full Employment? Are the neoliberal policies being pursued by the European Commission are feeding that populist forces that may tear the Union apart? The Greens have to use alternative green economic concepts and share them far beyond the academic sphere, with all who are now starting to realise that our economy is completely unsustainable. And above all they have to assert their specific approach to social justice.